...Occasionally, when I've been very close, a giant cuttlefish has reached an arm out, just a few inches, so it touches mine. It's usually one touch, then no more. Octopuses show a stronger tactile interest. If you sit in front of their den and reach out a hand, they'll often send out an arm or two, first to explore you and then - absurdly - to try to haul you into their lair. There is something endearing about octopuses. A wet, spidery, amorphous creature should provoke an instinctive fear response in humans but for some reason the cephalopods (octopuses, cuttlefish, and nautiluses) fascinate us. And part of that fascination is to do with their complex and intelligent behavior. In Other Minds, Godfrey-Smith weaves in news reports of daring aquarium escapes, scientific studies, and anecdotes from his own extensive experiences while scuba diving around the world to paint a vivid picture of how an octopus experiences the world. So much of our behavior and sense of self is bound up with our corporeal shape, putting yourself in the 8 shoes of a creature that lacks solid form is quite a trip. 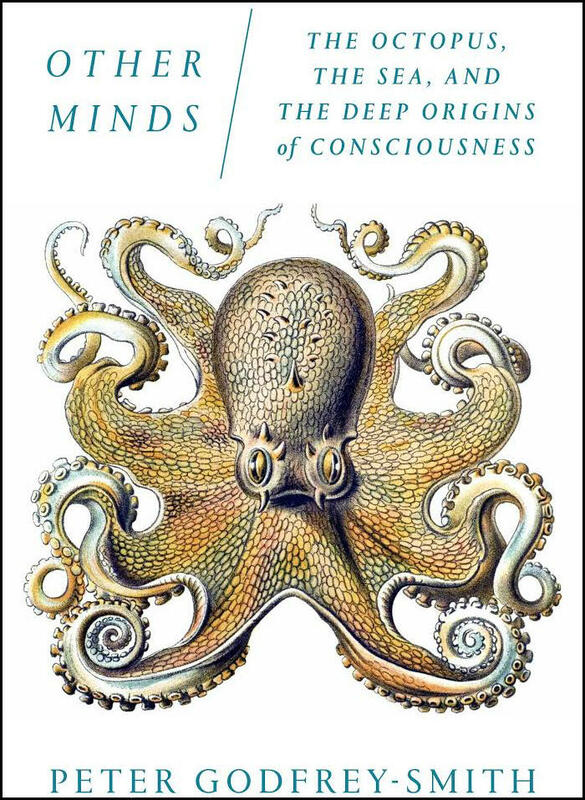 Much more than a collection of octopus facts, Other Minds is also concerned with how intelligence and consciousness evolves. The octopus is a perfect animal to use as an example, since its intelligence developed quite separately from the usual mammalian intelligence we are more used to. Plausible theories are put forward in clear language and the research is very current. Like all good books, Other Minds saves a twist for the end, which I will now spoil. Despite all the advanced social behavior, learned abilities and forward planning that octopuses process, they rarely live longer than 2 or 3 years. There will be no octopus elders passing down knowledge from generation to generation, no eight-legged Shakespeare or Newton, no vast undersea cities. This saddens me. The book ends on a certain note of melancholy, as climate change threatens to destroy many a octopus habitat. I really enjoyed Other Minds - it felt a little more meaty than the usual pop-science fare and made for thoughtful reading. Recommended.